One Day At a Time: Why? The past twelve months have held many changes for me. Many have been positive. A few have been cause for tears. Reasons to celebrate included exchanging my 20 year old vehicle for a shiny, new SUV. The only thing better than the new car smell is feeling confident I won't find a trail of fallen off parts on the road behind me. I also added a new member to my household and welcomed a new kitten into my home. Her playfulness has brought out the kitten in my two six year-old cats and her unusual brown eyes and six toes on each paw are constant reminders of how unique and special she is. Finally, after two and a half years of hard work I completed my Masters degree and got to see the pride in my mother's face as she watched me cross the stage. Sadly, I also lost my twelve year-old golden retriever to old age this year. For years he was my personal trainer. He motivated me to get out and walk, run or hike even when I might have preferred to relax on the couch. As his condition deteriorated and I became immersed in my Masters my activity level decreased significantly and I gained some weight. 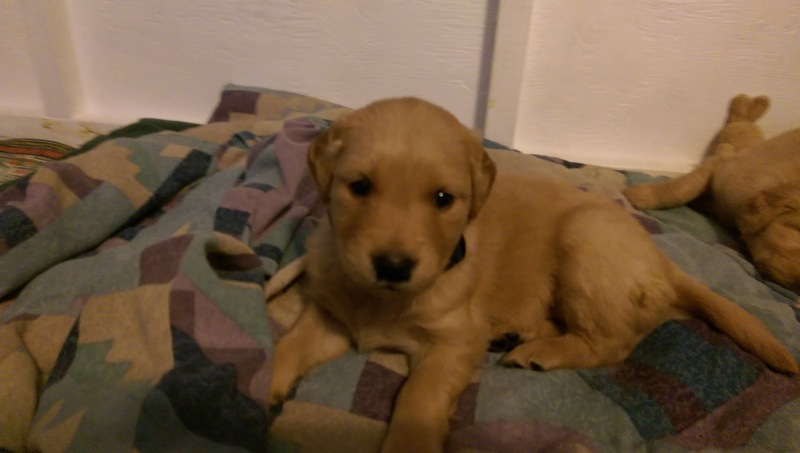 After seven months of being dogless, I will be bringing home a new puppy in three weeks. I intend to get back into the routine of regular walks and runs so that we can have a long, healthy life together, I want to make the most out of having the privilege of a dog. I want us to enjoy the many activities that we can share together. She deserves someone who will give her a full, healthy life. Why am I determined to become more active? Bella. One look at that golden bundle of fur is all the motivation one needs.